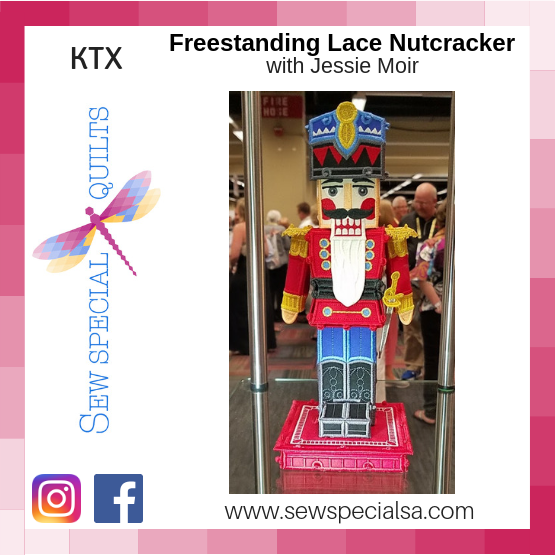 Come and master all levels of Embroidery Applique with the Nutcracker! We will be learning correct stabilization for FSL and FSL with Applique. Adding metallic thread detail, understanding thicker stabilizers for heavier structures. We will be learning Tips tricks and Techniques before seen in any of my last FSL classes. Fabric: Red Fabric ⅓ yd, Blue Fabric ¼ yd, Black Fabric ⅓ yd, White Fabric ¼ yd, Peach Fabric ⅛ yd.